A buzz word throughout the healthy living community for sure! Although no single food is a substitute for a balanced, whole foods diet…it is true that some foods are just better for you than others. I love that some of the most common plants (a.k.a. weeds) are among the most nutritionally dense foods — and for most of us in North America and throughout Europe, they grow freely! Including these herbs into our diets means we are getting high quality nutrition — without man-made supplements. Bonus! 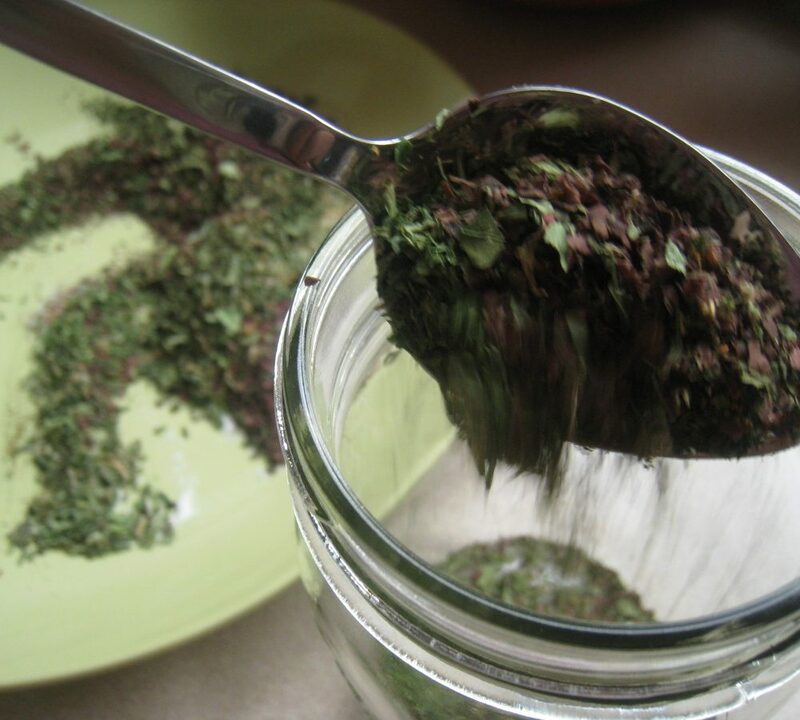 *All herbs should be dried. 1. Measure equal parts of all of the herbs (or to your family’s taste preference). 2. 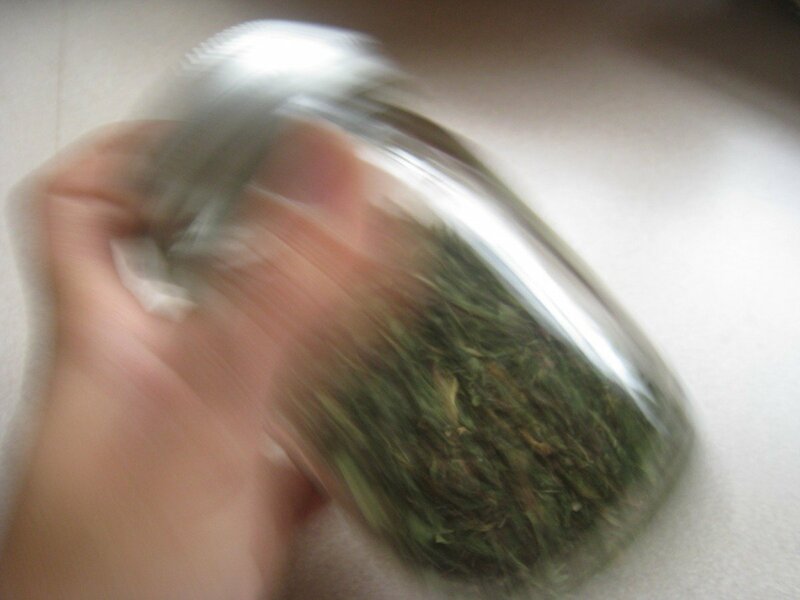 Place herbs in a glass jar. 3. Shake well to combine. 4. 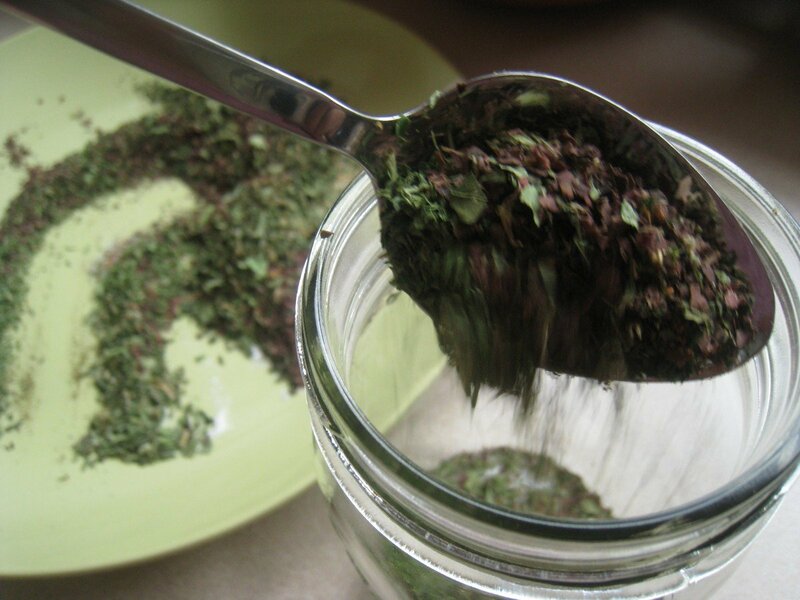 Store in a spice jar for ease of use, or keep stored in a glass jar. Keep away from heat and light. It should stay fresh for 6-8 months. 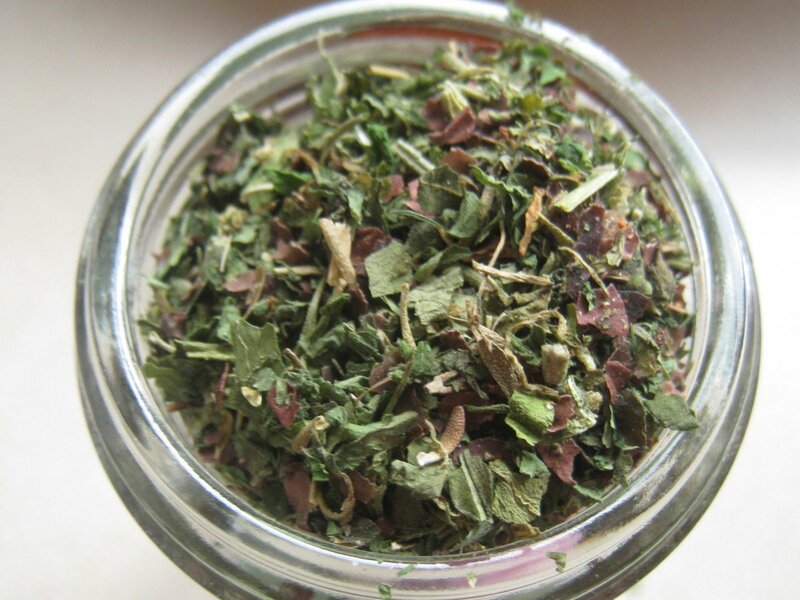 -Save the big bucks on dried, organic kitchen herbs…buy them in bulk from Mountain Rose Herbs. I have started buying all of my seasonings in bulk from them and the saving are AMAZING! Now it’s your turn! How are you incorporating herbs into your diet? Hi-This is interesting. What sort of things do you use it on? If it is in fact tasty, I agree it would make a nice gift. I had the same question – would you stirfry veggies with that or use on meat? We add it to everything~! The little seeds look about like flax seeds. But, it is spicy, like pepper. Pat! The Nigela Sativa sounds amazing! Thank you so much for sharing your article…I want to make the switch! 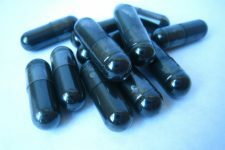 Yes, I learned about Nigella Sativa when researching about pancreatic cancer alternatives for my mom. I was totally amazed!!! So what do you use this in? Can you mix it with other spices? I add the Nigella Sativa to everything. 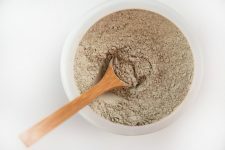 Traditionally, it is used as a food spice, like sesame seeds. Just sprinkle on salads, veggies, meats, side-dishes, I add it to smoothies for a bit of peppery kick. Of course, I add Turmeric, Cayenne and Cinnamon for the holistic health benefits too! I’m going to “pin” this as I’m very anxious to give this a try. We’re in transition right now so I don’t have much of an herb garden at the moment, but I’m planning one for next spring and dandelions are one of the plants I plan to use. I *think* we might have plantain growing wild if I’m thinking of the same thing. I’ll have to look it up. It is true, there is no official definition. I first heard of “super vegetables” in “The New LAUREL’S KITCHEN” (1976, 1986) on page 355. The authors were trying to encourage “the keeper of the keys” (whoever was in charge of putting food on the table) to think about more than “no meat” while keeping your parents worry free about the dreaded lack of protein. 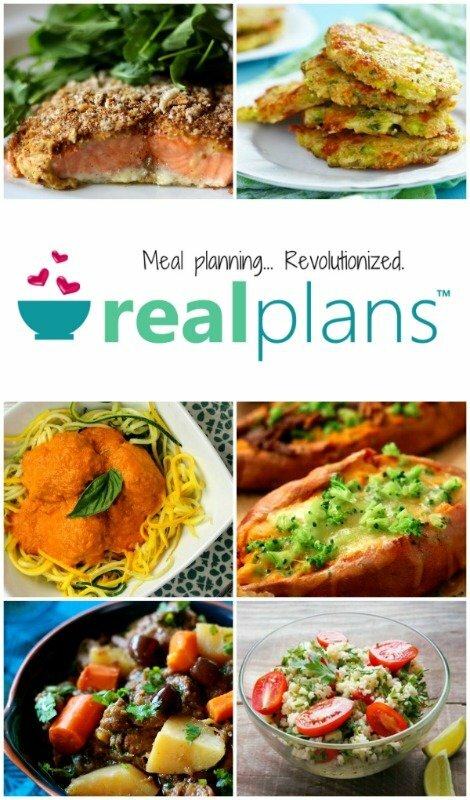 The idea has evolved from super vegetables to super foods. The Laurel’s Kitchen food guide stated that every day you should get 4 servings of grains and 3 servings of vegetables including at least 1 serving of “super” vegetables (relatively high in protein, calcium, folacin and magnesium. Back then the list started with, dark leafy greens (3/4 c cooked), edible-pod peas, Brussels sprouts, broccoli, asparagus (1 cup), lima beans, peas (1/2 cup). + 1 serving of (choose 1) and additional serving of super vegetable, or legumes, or dairy foods. + fill out your calorie needs with whole foods (defined in the book). We were just starting to talk about Omegas. Phytos and antioxidants were still a few years out. Outside of California, or even outside of Berkley, we were not sure what to eat, we only knew what not to eat (flesh). It was a good start, which thanks to worried moms and grandmas everywhere has evolved. I just read that Nigella Sativa is mentioned in both the Bible and the Quran. Also, the Egyptian pharaoh Tutankhamun was buried with nigella sativa seeds. Very important stuff in several ancient religions, but I wonder why I had never even heard of it! I love this idea! 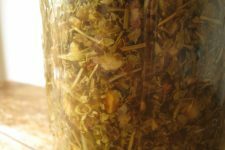 And I love Mountain Rose Herbs. They are such a great company. I make my own creole seasoning because most of those types of spice mixes I find in the store are either 1)not organic 2)if they are they are suuuuper expensive 3)they all have something weird in them. I use Emeril’s recipe, but all my herbs and spices are organic and my husband puts it on literally everything. One of his favorite things is to make “loaded hashbrowns” which really just turns out to be potatoes and eggs with cheese and maybe some deli turkey, and put the creole seasoning all over it. I will definitely try this one. It sounds delicious!!!! 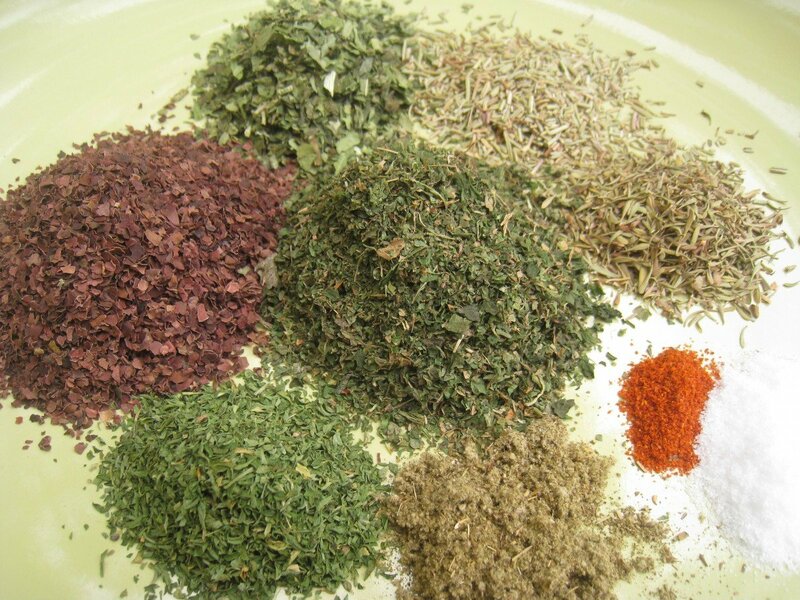 And, making your own spice mixes can also be very time saving. Instead of measuring out each one individually, you just throw in as much as you need. Another great one is a mixture of turmeric, curry, coriander, cinnamon and paprika. When I use this one, I always end up adding some lemon juice and fresh cilantro, as well. Or cardamom, allspice, anise, and ginger for a nice Mediterranean flair in rice, meatballs, etc. Chinese five-spice is very easy to make, as well. A fantastic idea, I will be putting this together for sure, thank you for putting it all together in one spot. I grow a ton of different herbs, and while I do dry them I have typically just been using them as part of something “thing” I’ve always used them for, like rosemary chicken (rabbit) etc. One thing I have a question on…it was my understanding that horsetail is not really considered edible. May in fact not be a good idea at all. I have a book on local (NW) uses of plants by indigenous peoples and in this one it says horsetail is a no no. I will be looking for stuff on the web for horsetail but wanted to know how or where you got your source as to the viability of horsetail as an edible. Thanks, and thank you for sharing such a wonderful blog, really do love it! This looks like what we need this winter. Thanks. This sounds amazing and like exactly what I have been looking for. 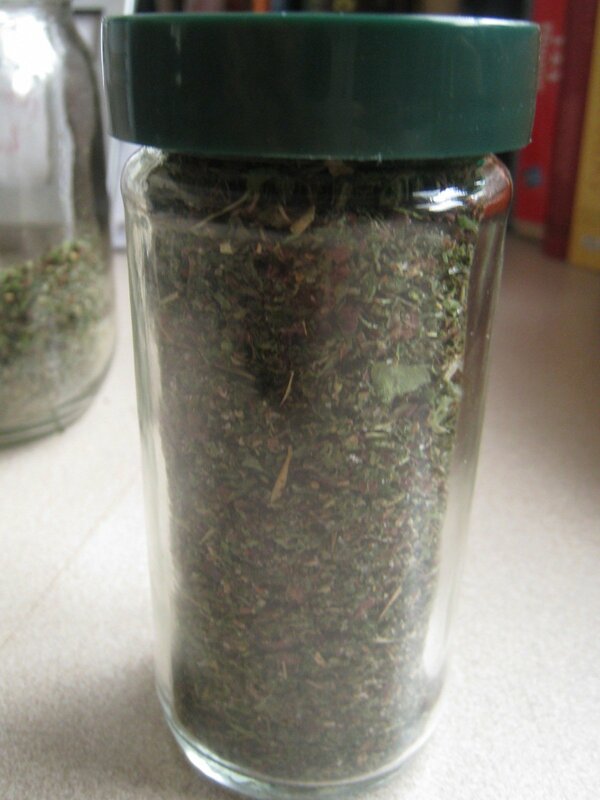 I am new to using herbs in my cooking especially dried or fresh. How much of each type of seasoning should I add to this mixture? I greatly appreciate any help that is given. Thank you!